Originally posted on 14 September 2018. 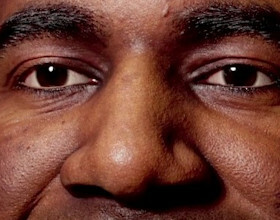 Scroll down for news of the commercial releases. Boris FX has unveiled Mocha Pro 2019, the next version of its planar tracking software, plus Continuum 2019 and Sapphire 2019, the next versions of its suites of effects plugins for compositing and editing apps. 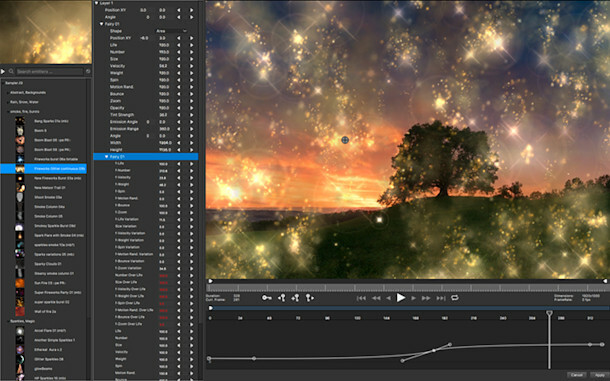 Key changes include the combination of Mocha Pro and sister tool Mocha VR into a single unified plugin, and the inclusion of veteran 2D particle animation tool particleIllusion within Continuum 2019. All three products go on show at IBC 2018 this week, with Mocha Pro 2019 due to ship later this month, and Continuum 2019 and Sapphire 2019 following later in the fall. The key change in Mocha Pro 2019 is that it also now includes the features of Mocha VR, its sister product for tracking and fixing 360-degree VR footage. In Continuum, the headline change is the inclusion of 2D particle system particleIllusion (shown above) – a move originally announced at NAB 2018 in March, when the release was still called Continuum 12. 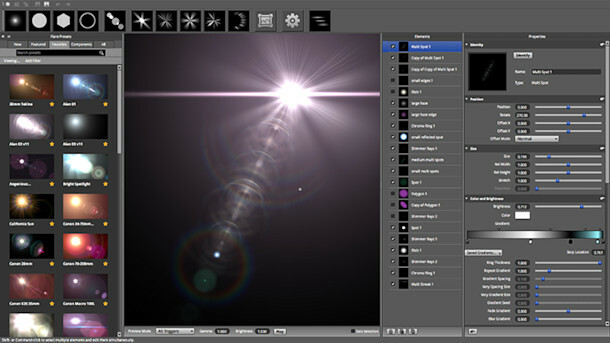 Distributed by developer Alan Lorence through his own company, Wondertouch, throughout the 2000s, particleIllusion was acquired by GenArts in 2009 – itself then bought by Boris FX in 2016. Lorence rejoined Boris FX earlier this year, where he has been working on an updated, GPU-accelerated version of the software, described as a “slick 64-bit application with a streamlined, easy-to-use interface”. particleIllusion will be available both as part of Continuum 2019 and its modular Continuum Particle Unit. New Mocha Essentials interface with a new Magnetic Spline Tool and new geometric shape presets makes tracking and masking even easier before. Point trackers like spotlights, rays, and lens flare can now be tracked by Mocha. 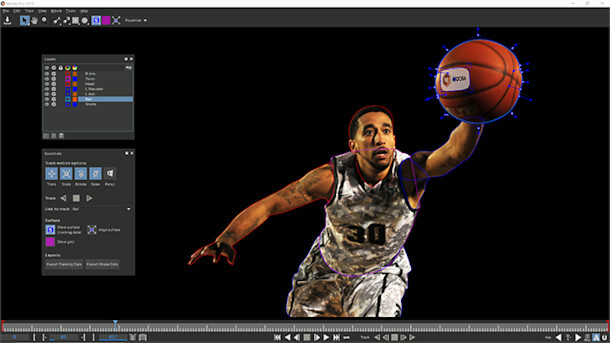 In Sapphire, the key change is a revamp of S_LensFlare, the suite’s lens flare design tool. Like Continuum 2019, Sapphire 2019 also features deeper integration of the Mocha tracking technology, more extensive GPU acceleration, and preliminary support for external monitors. Mocha Pro 2019 is due to ship later in September 2018, with Continuum 2019 and Sapphire 2019 scheduled to follow later this fall. Updated: All three applications are now shipping. Each is priced according to which host platform you buy it for: there are typically separate prices for Adobe, Apple, Avid, Autodesk, OFX tools and/or multiple hosts. Mocha Pro 2019 costs from $695 to $1,495. Sapphire 2019 costs from $1,695 to $2,795. Continuum 2019 costs from $695 to $1,995; the Continuum 2019 Particles unit costs $299.